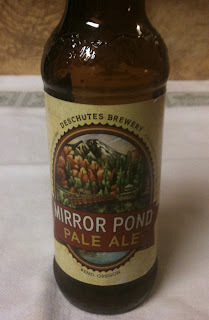 Tonight I have another from Deschutes Brewery, a Mirror Pond Pale Ale. It shows 5% ABV on the twelve ounce bottle. Their web site lists 40 IBUs. 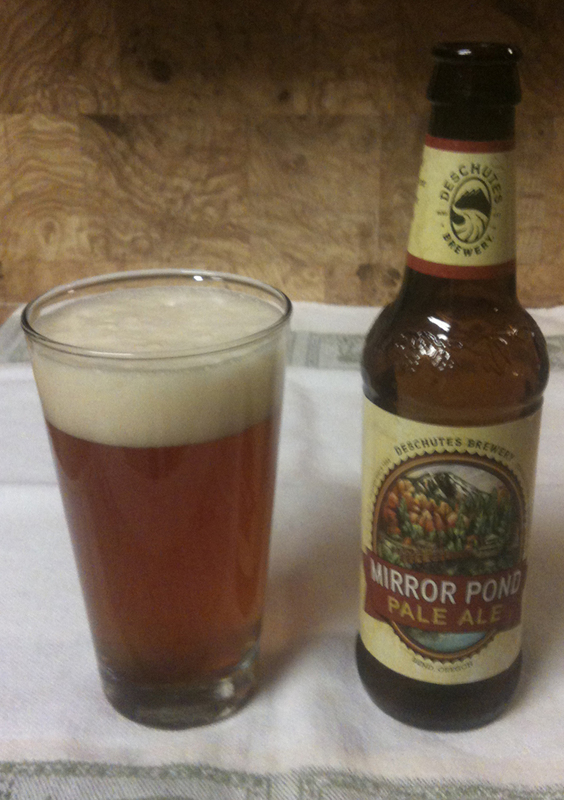 This beer poured with a fairly large head that was bone in color. The color is a golden honey, maybe leaning towards a copper. Somewhat cloudy. The aroma has some hops and bit of citrus. I would say this pale ale is fairly mild-bodied. Like the aroma, there are some hops and a bit of citrus, but the flavors are mild. Smooth, with very little aftertaste.